Mark your calendars…….and grab your blankets and chairs. 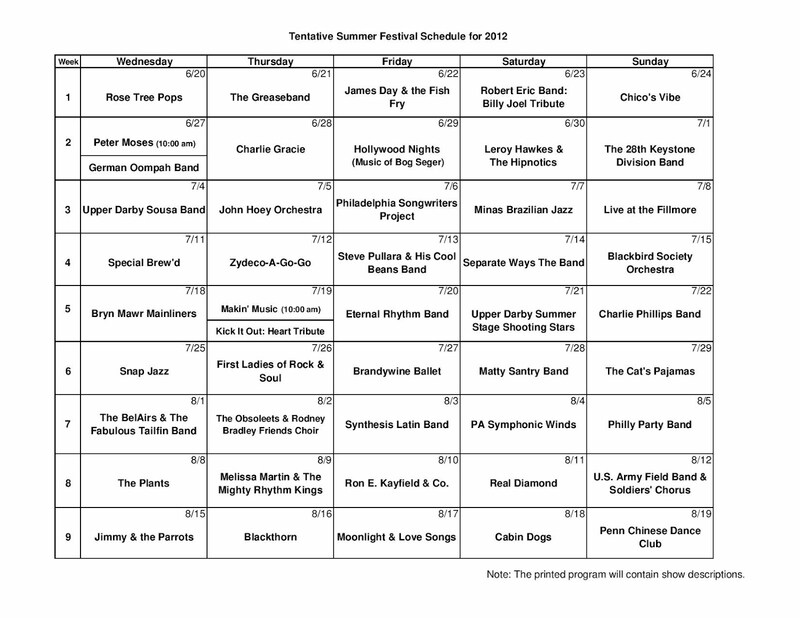 It’s time to enjoy another summer full of spectacular performances on the hillside. Concessions are sold at all concerts or you may bring your own tasty provisions. Please remember that alcoholic beverages are prohibited throughout the park, and for everyone’s safety and comfort, pets and smoking must remain outside the amphitheater. There is no admission charge for the concerts. 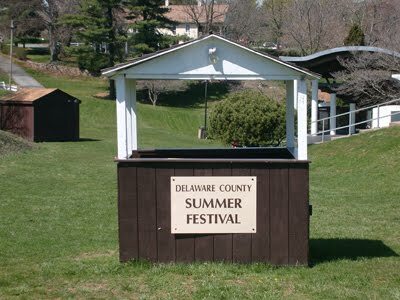 There are no rain dates for Summer Festival concerts that are cancelled due to inclement weather. Cancellation decisions are made right up until show time. At that time, there will be a recorded message on the parks phone (610-891-4455) indicating the show is cancelled. Rain in the hours preceding the show does not mean the show will be cancelled. Every effort is made to ensure the safety of the audience. If a thunder storm takes place, the concert will be ended. Information was obtained form Delaware County’s Government Web site.